BERLIN (Bloomberg) -- Porsche Automobil Holding SE won dismissal of investor lawsuits seeking to overturn decisions made at a 2009 shareholder meeting during the manufacturer's bid to take over Volkswagen AG. The Stuttgart Higher Regional Court in Germany rejected the bid by two minority shareholders, who also targeted decisions discharging directors from liability for the 2008 fiscal year, backing a lower tribunal's May 28 ruling in favor of Porsche. “The Higher Regional Court, just like the Regional Court, couldn't determine that the questions listed in the suits were insufficiently answered during the annual meeting on Jan. 30, 2009,” the court said today in an e-mailed statement. Porsche's failed takeover bid led to CEO Wendelin Wiedeking's ousting in July 2009, and regulatory probes and lawsuits in the United States and Germany. 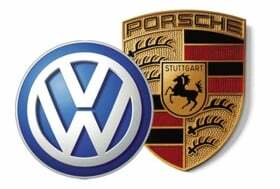 VW agreed to merge with Porsche in August 2009 after the sports car maker's debt tripled to more than 10 billion euros ($13.5 billion). Porsche welcomes the ruling, which fully backs its position, company spokesman Albrecht Bamler said in an interview. Martin Weimann, a lawyer for the plaintiffs, didn't immediately return a call seeking comment. The plaintiffs argued that Porsche's management should have answered a number of questions they asked at the meeting about the strategy leading up to an October 2008 announcement that it controlled 42.6 percent of VW shares and had so-called cash-settled options for another 31.5 percent. The court said it didn't have to rule on whether Porsche was right to use the strategy or whether it paid executives too much in the process. Porsche didn't have to answer all questions about derivatives it used in the process, because such disclosures could have hurt the company's interests, the judges wrote. In January 2009 these transactions weren't complete and other market participants could have used the information to follow the trade or speculate against Porsche, they said.